The rapid emergence of SSDs has led to the development of a wide range of memory and storage innovations that are working their way into both on-premises and cloud environments. This begs the question, what are the latest NAND/SSD developments? 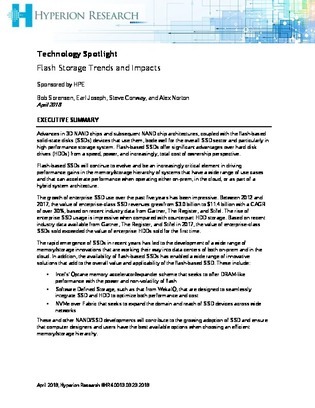 With their eyes on the evolving flash market, Hyperion Research spotlights important flash trends and their impact on the market in this report.